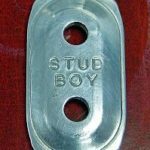 Stud Boy “SUPER-LITE +PLUS” PRO-Series Single Backer-.750″ | Goodwin Performance, Inc. – Snowmobiles, Snowcross, High Performance Clutches, Suspension, Service, and More! SKU: ps-4. Categories: Stud Backers, Traction Products. 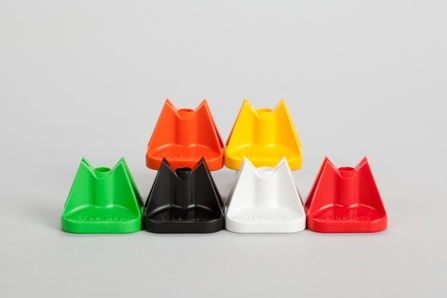 These new backers take traction and stud support to a new level. Tested and used by the best snocross and cross-country racers in the world last season with outstanding results. 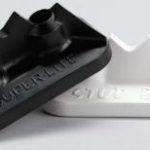 If you are looking for lightweight super strong stud support you have found it with our SUPER-LITE Pro Series backer plates. These “SUPER LIGHT +PLUS” backers are designed for use with new single ply tracks. 43455 N. Green Bay Rd. Copyright© 2017 Goodwin Performance, Inc. All rights reserved.